Australian Foreign Minister, Senator Bob Carr, has suggested that says a major military defection and a political assassination maybe needed in order to bring about the downfall of Syrian president Bashir al-Assad. It wasn’t clear whether or not Carr was referring to al-Assad himself. Sewnator Carr is a crpto-Jew and, if you did not know it already, Australia is in the process of being rapidly destroyed and judaicized, just as has been done in Canada. Carr was speaking on the ABC’s Four Corners program last night. While on the one hand Carr was talking about assassination in order to effect regime change, he was also telling his audience: "We do know there is a body of opinion in the Arab world running strongly that says 'we do not want extremism, we want democracy denied to us for so long'." Someone needs to tell Bob Carr that political assassinations is what extremists do and that there is absolutely nothing ‘democratic’ about assassinating leaders. He might also be reminded of the nature of government that is likely to replace al-Assad in the light of there being suicide bombers being used by the rebels. Tens of thousands of people have fled Syria since an uprising against Mr. Assad's regime began more than 18 months ago. Has the Western world really come to this? Is assassination going to become the new norm to ensure the West gets its way with governments it doesn’t like? Since when have Foreign Ministers of so-called Western democracies publicly advocated the assassination of government leaders in order to change governments of a foreign power ~ no matter who they are? We all know it goes on from time to time but for a serving minister of a Western government to publicly advocate committing what is a crime under international law is a major paradigm shift embracing a whole new set of rules that will see the end of governmental normality and the beginning of a murderous free for all for global political power. It will be only a matter of time before the West’s enemies will resort to similar practices and we begin to see the killings of Western political and military leaders. When Hillary Clinton cackles as she did when hearing of the assassination of Qaddafi, she lowered the bar significantly in terms of what the public be allowed to see of their "leaders" in times of imperialistic expansion and greed. Isn't it interesting that when someone stands in the way of the NWO trundling over nations s/he is a terrorist who needs assassinating. When a thug is actually assassinated, like Yitshak Rabin, it's a tragic loss of a great leader and a statesman. What would happen if the Rest Of The World adopted the Bush doctrine of pre-emptive strikes? 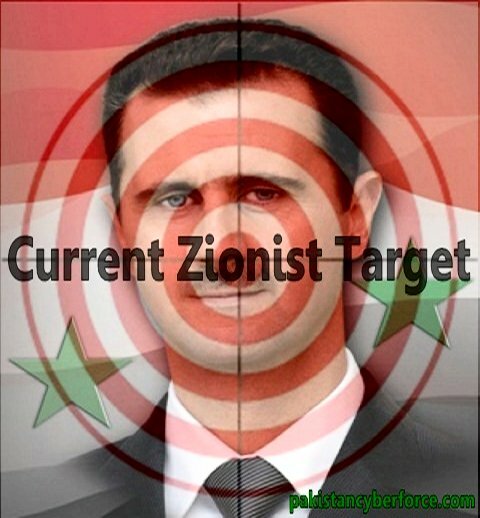 To save humanity, 'israel' (I refuse to capitalize that illegitimate entity) would need to be 'assassinated', droned and subject to 'regime change' and probably the US, the UK and a few other belligerent nations would need that treatment too. One of the results of the laws of unintended consequences. "We'd be greeted with candies and flowers, as liberators, of humanity." to paraphrase sleazeball Rumsfeld.